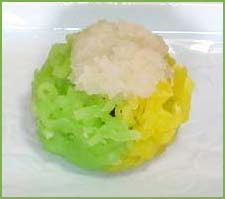 Each dandelion stem has a yellow flower head containing numerous radiating petals and each petal is a separate flower. In the sun, flower heads open wide and when cloudy or dark they close tightly. Europeans brought dandelion seeds to America in the 1700s. 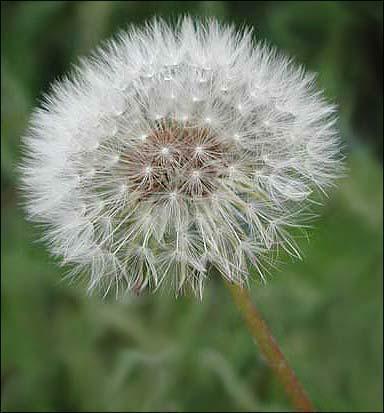 One of the most common weeds, it may be found almost everywhere in the United States and will grow almost anywhere. 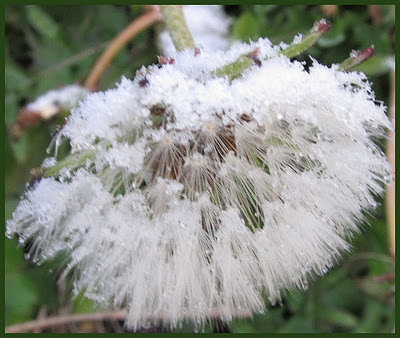 Dandelions bloom from late March through early January. 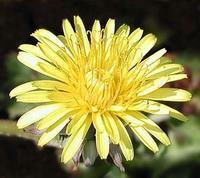 The dandelion's long taproot contracts each year, pulling the leaves down to the soil (away from your lawn mower). Dandelion flowers don't need pollination; they grow directly from female ovules - making every dandelion a clone of its mother! 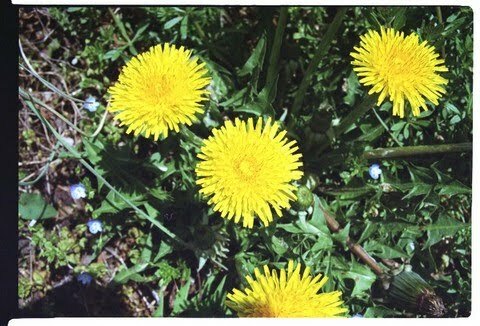 Dandelions, also known as "lion's teeth", are good for you - they're the richest known source of beta-carotene, also high in vitamin C! Young leaves are used in salads, boiled, or scrambled with eggs, as well as for coffee and wine. Parts of the dandelion can be used in an array of treatments for illnesses; in fact, pharmacists import over 100,000 pounds of dandelion root to the U.S. each year for use in tonics and liver medications! 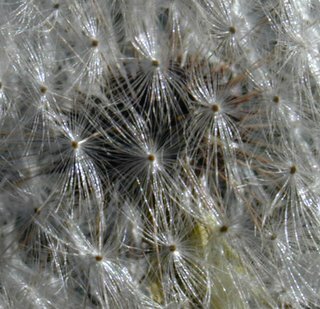 Dandelions also yield dyes for clothing, and most importantly supply endless amounts of entertainment and fascination as they turn into little white puffs to make a wish on. have a feeling for poetry . . . This is a play with the sound of the word TAN POPO. I guess Nenten sensei is aware of the meaning of POPO in German. - the whole dandelion is edible, the flower head makes a bubbly wine, the leaves a peppery salad, and the roots a chickory drink similar to coffee Enjoy Earth Day!